I need to use the extension intl on my mac with XAMPP. - cakephp/bake dev-master requires cakephp/cakephp 3.0.x-dev -> satisfiable by cakephp/cakephp[3.0.x-dev]. - Installation request for cakephp/bake dev-master -> satisfiable by cakephp/bake[dev-master]. So I need to solve the problem of ext-intl with the extension intl. Can someone help me with this problem? How can I install this extension? 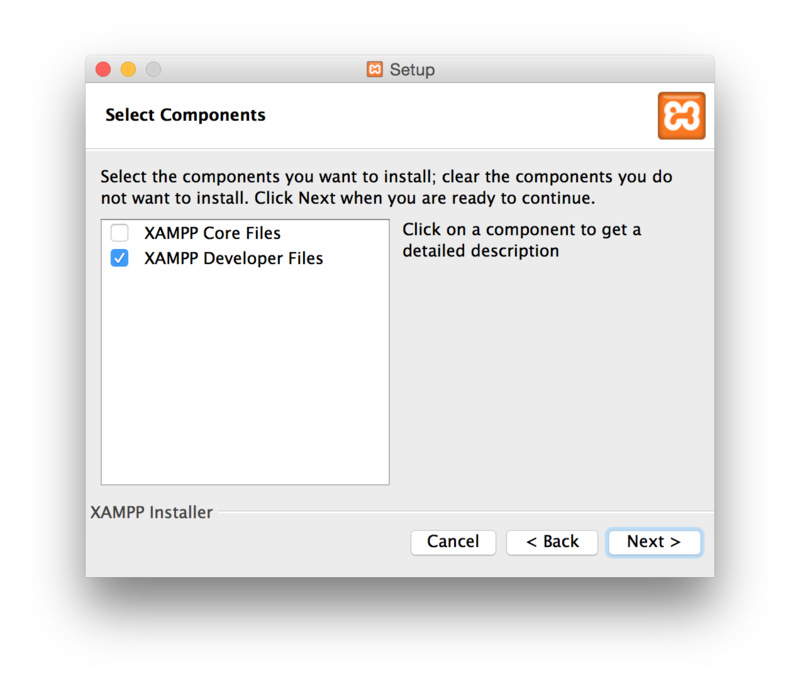 Re-run the XAMPP installer (if you don't have the installer on hand, download it from here) and tick the "XAMPP Developer Files"
Finally restart your Apache web server from the XAMPP GUI. Not the answer you're looking for? Browse other questions tagged php macos apache cakephp or ask your own question. How to override the path of PHP to use the MAMP path?